As we now head into the full swing of the summer vacation season, replete with its barbecues, picnics and beach parties celebrating the Fourth of July (and the accompanying imbibing that goes with it), one question could be easily asked: Is beer drinking unpatriotic? It may seem like a silly question to some, but try asking it of the Women's Christian Temperance Union (yes, it actually still exists). A number of present-day organizations such as these passionate descendants of Carrie Nation still wish to swing the axe at the legal consumption of alcoholic beverages. They claim that even the great drink of moderation, beer, is an evil concoction born of the devil, and is responsible for most, if not all, of the social ills of society. Now, don't get me wrong. You'll never see me on this forum as an apologist for some reckless jerk who gets behind the wheel of his car after quaffing ten brews, or the mean-spirited drunk who beats up his wife after a night at the bar. However, I'll never understand the reasoning of those who think that we must strangle the rightful pleasures of the many as an attempt to redress the problems of a few. There are better ways to help those who truly need it. After all, the right to “life, liberty and the pursuit of happiness” as proclaimed in the Declaration of Independence is enshrined in activities such as the sharing of a few good beers with friends. What could be better? Certainly the Founding Fathers felt this way. It is well known that a considerable number of the Framers were ardent beer lovers and weren't afraid to say so. George Washington himself was an avid consumer of ale, and especially porter. It is a historical fact that he actually stopped in a a pub in lower Manhattan and threw back a few pints to celebrate the evacuation of British troops from New York City in 1783. In recent years, a superb, full-bodied porter brewed by the Yards Brewing Company of Philadelphia claims to be inspired by a recipe from the Father of Our Country himself. How close the Yards recipe actually is to anything formulated by Washington is somewhat debatable. A brief recipe for “small beer” in Washington's writing does exist, but it calls for a large quantity of molasses to be used, as opposed to barley malt which is the primary ingredient in modern beers. I sincerely doubt that General George's all-molasses brew would possess the excellent balance of flavor found in the Yards porter! Another great fan of the brewing arts was the Declaration's principal author Thomas Jefferson. Jefferson liked to engage in brewing experiments at his Monticello estate following his presidency. 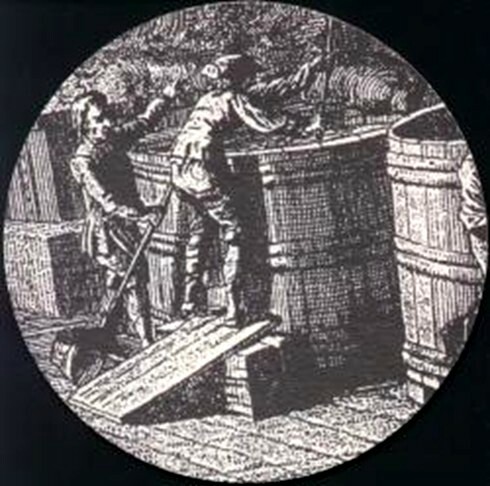 Although he certainly had a hand in the creation of recipes, most of the actual legwork involved in the brewing was performed by Jefferson's head cook (and slave) Peter Hemings. Jefferson had great faith in Heming's ability, who went on to brew some 200 gallons of ale for the former president each year. Like Washington, Jefferson's brews have also inspired modern interpretations, from breweries such as Yards and the Dock Street Brewery, also of Philadelphia. And then there was Samuel Adams. 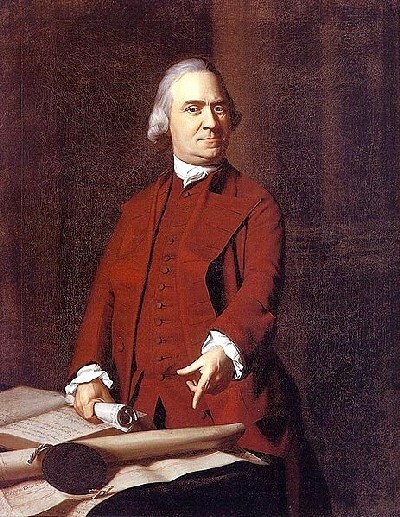 Samuel Adams is credited as being the first to publically suggest the formation of a Continental Congress. A signer of the Declaration of Independence, he went on to serve as governor of Massachusetts before his death in 1803. It is perhaps fitting that the legacy of Samuel Adams provided the inspiration to budding entrepreneur Jim Koch to use Adams' name for his fledgling brewery when he launched it back in 1985. 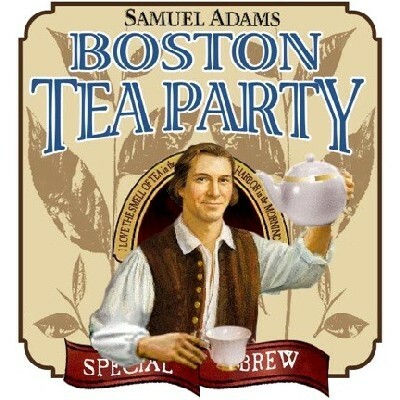 His award-winning flagship beer, Samuel Adams Boston Lager, was based upon a beer that Koch brewed in his kitchen from his great-great grandfather's 1880 recipe. I remember purchasing my first six-pack of “Sam” at Alexander's supermarket in Manchester, New Hampshire in 1986. I vividly recall my skepticism as I picked up the small, entirely enclosed cardboard box that housed the beer (not realizing its purpose was to protect the beer from damaging light). My reasoning was that the beer was probably little more than an expensive interpretation of the standard light American-style lager. But when I brought it home to my apartment and sampled it, I was admittedly blown away. Never before had I sampled a domestic beer that could rival the quality of the finest European imports (and exceed them in freshness). It is a medium-bodied lager blessed with the crisp spiciness of “noble hops” mostly from Germany and the Czech Republic. Although somewhat pilsner-like in character, it has a somewhat more pronounced malty undercurrent than traditional European pilsners. It is no wonder that this beer was one of the primary catalysts of the American microbrewing movement. Today, Samuel Adams is the leading craft brewer in the U.S.A., producing over one million barrels per year in Boston, Cincinnati and the Lehigh Valley of eastern Pennsylvania. It has since branched out to produce numerous excellent products, including a Boston Ale, Noble Pils, Summer Ale, Cherry Wheat and many others. I must admit to having a certain respectful envy of Jim Koch and the enormous contribution he has made to the American brewing scene. Sometimes I feel like perhaps I missed my calling and should have followed in his footsteps. However, like the historic patriot Samuel Adams himself, I am not endowed with the business skills required to successfully launch such a venture. With that in mind, I will content myself to do my part to spread the gospel of good cheer in beer, and defend the right to responsibly partake of it. Those who similarly partake and agree with me should do no less!